A new list of available printers should pop up. Select the printer you are trying to install and double click it. The system will start to configure the printer. Once the printer is installed, you should see a print queue appear. Now that you can print, you may want to add a few settings to your machine that will make the printer the default for all users. Click on the “Start” button and then “All Programs”. Click “Citrix”. When the program opens, choose the “Policies” option, and then click “HDX Plug-n-Play”, then select “Printing”. A new box will pop up, and the option “Client Printers” should be in there. Choose the “Auto-creation” function, and then start this up by choosing “Enabled”. Next, click on “Create dynamic session-private client printers”. Here you will need to click the “HDX Plug-n-Play” option once more, and then click on “Printing”. There will be an option called “Session printers” that you will need to click into, and then choose “Enabled”. Once you are done, click on the button that reads “Apply” and then click “OK”. This will save all the changes you have made. After you have done all of these steps your printer should successfully be setup with your Citrix system. 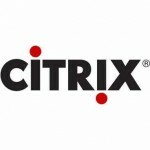 While this series of steps might seem a bit complicated, once the printer is set up properly, any Citrix users will be able to use it very easily. You can also repeat these processes if you ever need to add another printer.